Our Mission is support outreach ministries, which do God's work in the world, at home and abroad. Watch-ERD Convention Video Report Here! Greetings, Sisters and Brothers in Christ. As flooding continues in the US Gulf Coast, Episcopalians are asking how to respond. Episcopal Relief & Development is working closely with dioceses in the region to reach the most vulnerable. We have created this bulletin insert so that you can share information and an opportunity for compassionate response with members of your congregation. Please continue to pray for all those impacted by storms and flooding, for first responders who are conducting rescue operations and for church communities who are reaching out to care for their most vulnerable members and neighbors. 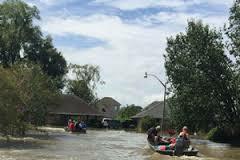 To enable Episcopal Relief & Development to respond to the current Gulf Coast flooding and support emergency preparedness and long-term recovery efforts in the United States, we ask that you please donate to the US Disaster Response Fund. Episcopal Relief & Development is responding to the recent earthquakes in Ecuador, Japan, and the flooding in Houston. Bulletin inserts are available to give congregations an awareness of how we are working with these communities and provide them with a way to respond to these disasters. Please distribute to your networks and representatives. GLOBAL MISSION ROUNDTABLE: Involved in global mission? Interested in global mission? Join the Global Mission Roundtable, share experiences and ideas, and learn from each other we proclaim, ignite, and inspire the joy of God's mission.